And so the summer of waterfalls is no more. 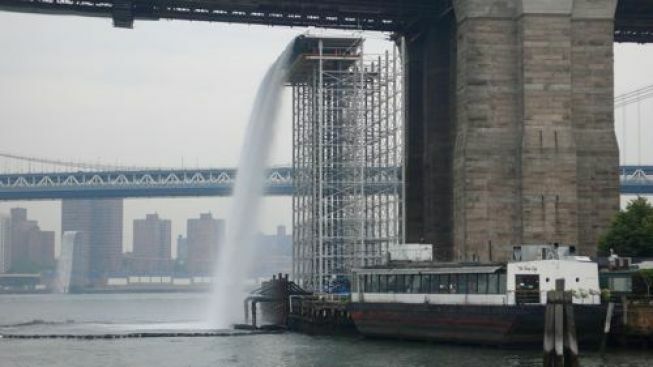 Gothamist posted a snap of a crane dismantling Danish-Icelandic artist Olafur Eliasson's Lower East Side waterfall at Pier 35. Like all great art, the New York Waterfalls project will have prompted discussion, reflection and questions - questions like, "Wow, the era of gaily throwing $15 million at a completely frivolous art installation sure seems like a distant dream now, doesn't it?"